hot on the heels of the stunning matzine 06 edition, you [and everyone else] are invited to think, question and create on the subject of time & its representation. 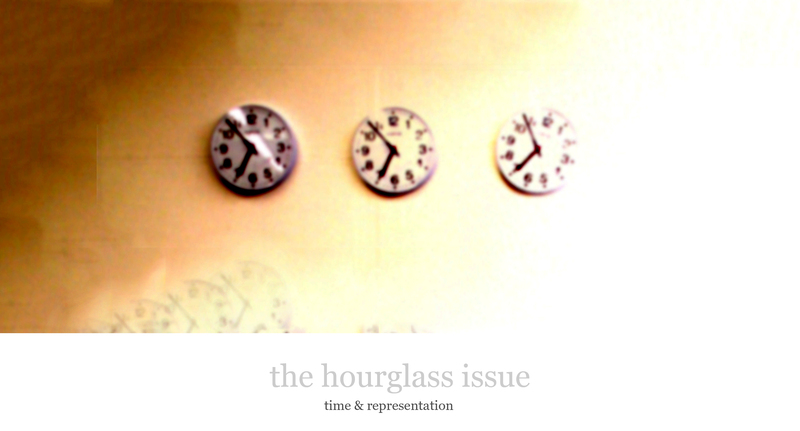 the hourglass, with its recessing sands is symbol apropos to our perception of time. an animated diagram of parts, of a harmony between subject, form and function. how else is time’s torrent made apparent? the con.struct[ive] cri.tique has arrived! we hope you enjoy this early christmas present. You can now follow matzine on twitter for regular updates, witty asides and delectable titbits of intellectual and cultural debris, direct from the cloud! Simply follow @matzine on twitter or peruse the digest on the bottom right of this blog.